American Shorthairs have (surprise!) a short coat made of completely straight fur. If you add the patterns (and the distinct color and pattern combinations) then the possibilities are in excess of a hundred. You are likely to come across shorthairs with coats of solid color, bicolor, tortoiseshell, tricolor or what is often referred to as calico, smoke, tabby or shaded. You will find more brown patched tabby patterns and shaded silvers, blue eyed white shorthairs and cameos than other variants. Many people prefer the deep shades of brown, black and other darker colors. 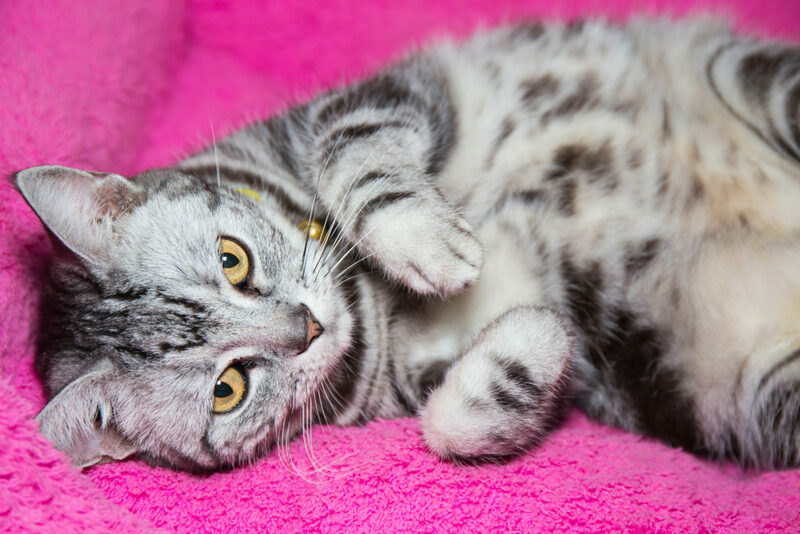 There are American shorthairs with lilac, chocolate, lavender and sable coats. These are crossbred American shorthairs and are not accepted in the list of purebreds or recognized mix breeds. Both male and female American shorthair cats are commonly found sporting white, black, cream, and golden, cameo, brown and silver with patterns of tortoise shell, bicolor, tricolor, tabby and smoke shade.